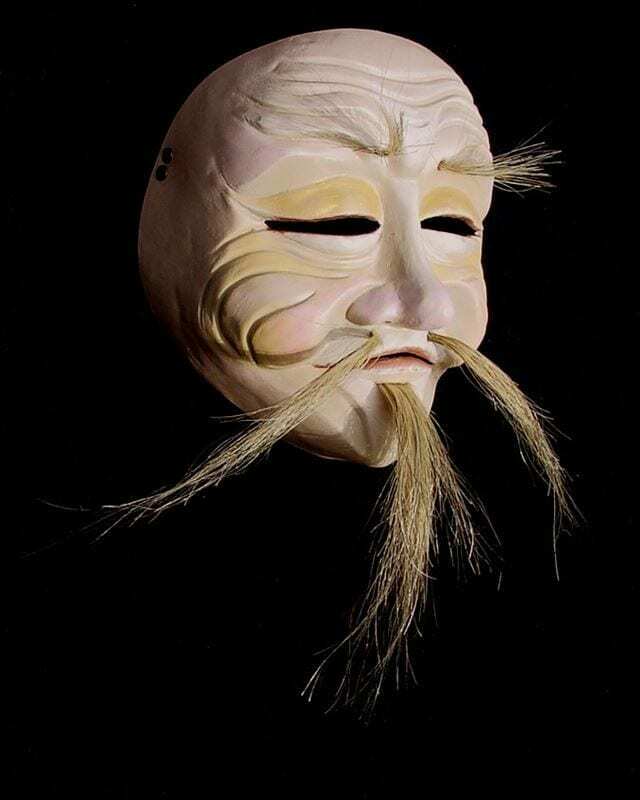 The old Chinese man mask was created for the performance demonstration Facing Humanity: Masks of History and Culture. The mask is inspired by a mask brought back from China by Stewart Becker, Jonathan’s paternal Grandfather. The mask is that of joyful old man who finds wonder in the world. The performance demonstration was created in 2010 when Jonathan Becker was invited to give a paper on the History Masks in Performance at Nanjing University in China. Jonathan felt that the reading of a paper on the history of masks sounded like a profoundly boring endeavor. He set out to create a performance that would allow the audience to experience the masks in a way that they might understand their significance in performance history. The original mask out of the mold was given to the professor who invited Jonathan to China on the evening of the performance. This is a mask of cultural collaboration and the joy of art.